Japan's own X JAPAN will be releasing their first album in 20 years. The as-yet-untitled record is scheduled for release on March 11th, 2016 and a documentary charting the band's career will be issued the day after the album launch. Drummer Yoshiki confirmed reports that X JAPAN will debut the film at London's SSE Wembley Arena as part of their #XDAY celebrations on March 12th. The film chronicles the evolution and groundbreaking history of Japan’s most iconic rock band, from their start to their current projects – including 2014’s magnificent Madison Square Garden concert, the band’s first US show in 4 years. The documentary is directed by Stephen Kijak who was commissioned by THE ROLLING STONES to direct their 2010 documentary Stones In Exile chronicling the making of their 1972 album Exile On Main St. which premiered in Cannes and on BBC1. He is also well known in the UK for his earlier work Scott Walker – 30 Century Man, which was executive produced by David Bowie and earned great critical acclaim. Tickets for #XDAY are on sale now via LiveNation. 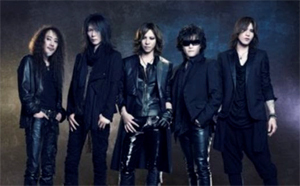 Yoshiki will be joined by X JAPAN’s lead vocalist Toshi on Saturday, July 11th at Hyper Japan at London's O2. The duo will perform a song from the new album as part of a special unplugged performance at 3:30pm. Tickets are available HERE. The album will be the follow-up to their fifth record, 1996's Dahlia, while the The film is produced by Passion Pictures’ John Battsek, producer of the 2013 BAFTA and Academy Award-winning feature documentary, Searching For Sugar Man.